Alzheimer’s is a difficult and complex disease that affects the mind. As the most common form of memory loss, Alzheimer’s accounts for approximately 60% of memory care patients in the United States. Although aging does present some memory problems, Alzheimer’s is not a normal procession; it is a progressive disease that worsens over time. While there is currently no cure for the disease, Alzheimer’s treatment and memory care have been shown to greatly improve the quality of life for those suffering from the disease. At Valiente Senior Living, we specialize in memory care and dementia treatment. 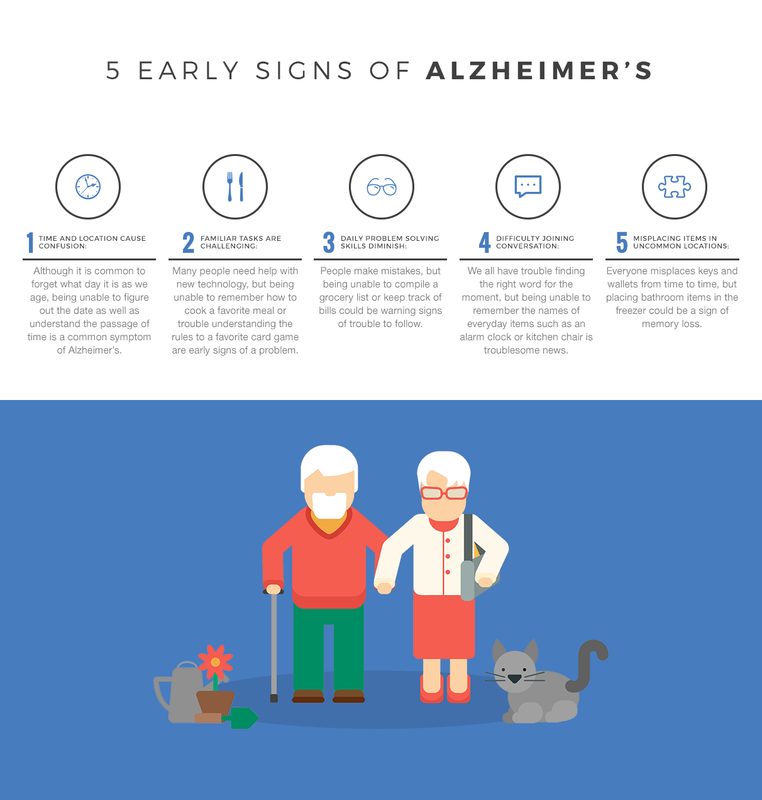 The infographic below could help determine if you or your loved one is displaying early signs of Alzheimer’s. For more information on our memory care facilities in Cuero and Magnolia, contact us today.